James Nitties conjured up a world record-equalling birdie blitz in the first round of the Vic Open but his compatriot Nick Flanagan holds a two-shot lead. Nitties was among four players to match the course record on the Beach Course on Thursday with an eight-under 64 to take a share of second place. The Australian did so in style, making nine consecutive birdies from the 15th hole to the fifth after starting on the back nine at 13th Beach Golf Club. 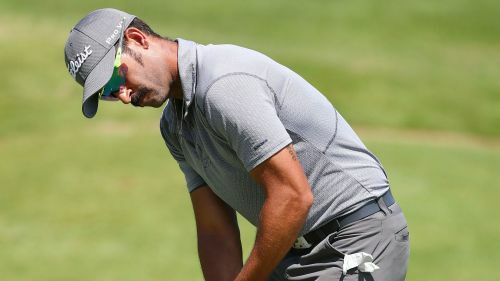 Nitties' incredible sequence of gains was first achieved by Mark Calcavecchia on the US PGA Tour in 2009 and Bernd Wiesberger reeled off nine in a row at the Maybank Championship two years ago, but the Austrian did so with preferred lies in play. Bronte Law also made nine on the spin as she won the Ladies European Tour Qualifying School in December, but Nitties is the first player to accomplish it officially on the European Tour. Flanagan lit up the Creek Course on home soil in Geelong to top the leaderboard with a magnificent 10-under 62. The world number 979, eyeing a European Tour card, eagled the seventh and 17th and made eight birdies to set the pace. Callum Shinkwin, James Anstiss and Hugo Leon also signed for record-equalling 64s on the Beach Course, with Kurt Kitayama and Jason Scrivener alongside them after making promising starts on the Creek Course.